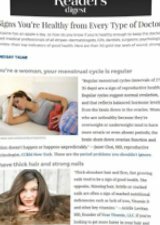 Women’s Health – Dr. Gary Goldenberg invites you to check “Can You Use Essential Oils To Get Rid Of Cold Sores? 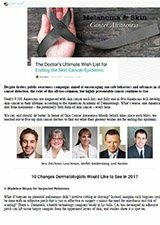 DERMSTORE – Dr. Kristina Goldenberg discusses What Does Skin Cancer Look Like? BYRDIE – Dr. Gary Goldenberg discusses the skincare tips myths. YAHOO! 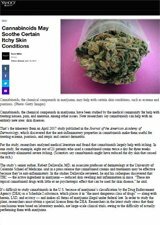 Beaty – Dr. Gary Goldenberg discusses how cannabinoids may soothe certain itchy skin conditions. TODAY – Dr. Gary Goldenberg discusses 18 well-known anti-aging products. READER’S DIGEST – Dr. Gary Goldenberg is quoted in “50 Signs You’re Healthy from Every Type of Doctor”. LIFE & STYLE – Dr. Gary Goldenberg invites you to check Lady Gaga Knifestyles. SELF – Dr. Gary Goldenberg invites you to check Lady Gaga Knifestyles. FASHIONDAILYMAG – Dr. Gary Goldenberg discusses the methods of clearing the skin. 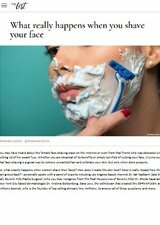 THE LIST – Dr. Kristina Goldenberg discusses the female face-shaving craze. YAHOO BEAUTY – Dr. Gary Goldenberg talks about ways to reverse unattractive features commonly associated with on-screen villains. 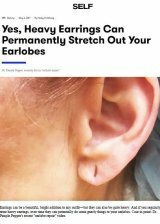 YAHOO BEAUTY – Dr. Gary Goldenberg comments on the importance of regularly monitoring moles on your body. 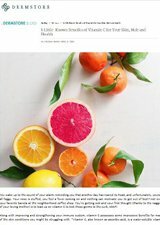 THE DERMSTORE BLOG – Dr. Gary Goldenberg discusses the benefits of Vitamin C for the Skin, Hair and Health. InTouch – Dr. Gary Goldenberg weighs in on which celebs have had too much lip filler. ALLURE – Dr. Gary Goldenberg discusses the harmful effects of tanning beds. 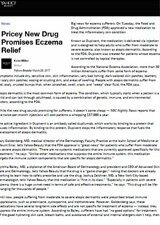 YAHOO BEAUTY – Dr. Gary Goldenberg discusses a breakthrough drug that may help eczema sufferers. ALLURE – Dr. Gary Goldenberg discusses the concept of repairing DNA damage to reverse cellular aging. 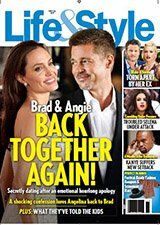 LIFE & STYLE – Dr. Gary Goldenberg discusses what cosmetic procedures Calista Flockhart may have undergone. WOMEN’S HEALTH – Dr. Gary Goldenberg cautions against tweezing hair on certain areas of the body. FASHION DAILY MAG – Dr. Gary Goldenberg is opening an UES location. WOMEN’S HEALTH – Dr. Gary Goldenberg talks about the safest ways to pop a pimple. MEDIUM BLONDE – Dr. Gary Goldenberg discusses the best ways to minimize the appearance of white spots on the skin. 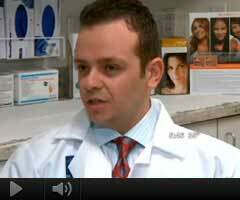 TOTAL BEAUTY – Dr. Gary Goldenberg describes the benefits of acne serums. MEDIUM BLONDE – Dr. Gary Goldenberg weighs in on whether Botox can be used as a preventative treatment. LIFE & STYLE – Dr. Gary Goldenberg gives his opinion on Brandi Glanville’s cosmetic procedures. FOX NEWS – Dr. Gary Goldenberg discusses Kate Middleton’s use of Nutella on her skin. PILIPINA’S POPCORN – Dr. Gary Goldenberg discusses the merits of using Nutella on the face. WOMEN’S HEALTH – Dr. Gary Goldenberg talks about treatments for stretch marks. 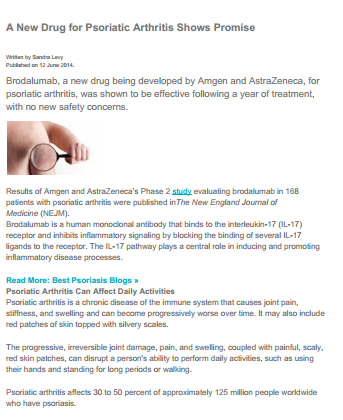 NEW BEAUTY – Dr. Gary Goldenberg discusses the side effects associated with Siliq, a new psoriasis drug. 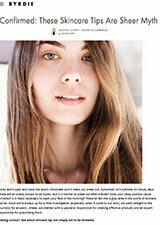 WOMEN’S HEALTH – Dr. Gary Goldenberg suggests giving Kate Middleton’s Nutella facial a pass. LIFE & STYLE – Dr. Gary Goldenberg discusses what non-invasive procedures Ashlee Simpson might have gotten. LIFE & STYLE – Dr. Gary Goldenberg weighs in on Jenny McCarthy’s youthful appearance. 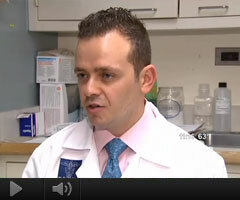 SELF – Dr. Gary Goldenberg discusses adult cystic acne. SELF – Dr. Goldberg warns about DIY pimple extraction. FASHION DAILY MAG – For replacing lost facial volume, Dr. Gary Goldenberg recommends a combination of injectable fillers. 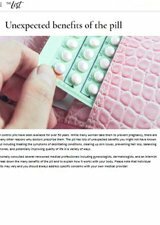 YAHOO BEAUTY – Dr. Gary Goldenberg talks about finasteride, the hair growth drug taken by President Trump. SELF – Dr. Gary Goldenberg discusses the dangers associated with hair relaxers and the benefits of Gabrielle Union’s new products. SELF – Dr. Gary Goldenberg talks about the formation of cellulite. LIFESTYLE – Dr. Gary Goldenberg weighs in on a Bachelorette’s new look. YAHOO BEAUTY – Dr. Goldberg explains how sun exposure and tanning beds cause skin cancer. SELF – Dr. Gary Goldenberg talks about the formation of stretch marks. 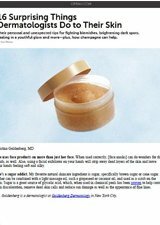 BUSTLE – Dr. Gary Goldenberg shares his tips for getting rid of stubborn acne. THE TIE GUY – A patient blogs about his micro-needling experience with Dr. Gary Goldenberg. 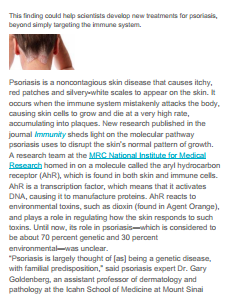 WOMEN’S HEALTH – Dr. Gary Goldenberg talks about how psoriasis affects the skin. 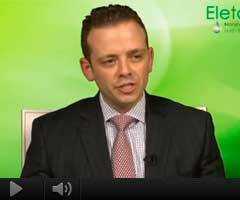 SELF – Dr. Gary Goldenberg explains how light therapy can be used to prevent acne. LIFE & STYLE – Dr. Gary Goldenberg weighs in on Lisa Vanderpump’s refreshed appearance. 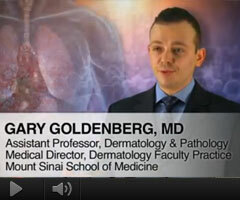 SELF – Dr. Gary Goldenberg talks about how pregnancy contributes to skin laxity. OLIVE OIL TIMES – Dr. Gary Goldenberg says washing with olive oil could be beneficial for those with dry skin. SELF – Dr. Gary Goldenberg discusses the effectiveness of magnetic face masks. SELF – Dr. Gary Goldenberg describes how stretch marks form during pregnancy. YAHOO BEAUTY – Dr. Gary Goldenberg explains how a partner or spouse can help perform routine skin cancer checks. SELF – Dr. Gary Goldenberg weighs in on the efficacy of biotin supplements for nail growth. Dr. Gary Goldenberg describes a “beauty disaster” that he corrected. YAHOO BEAUTY – Dr. Gary Goldenberg discusses the safety of a new type of burn treatment. FASHION DAILY – Dr. Gary Goldenberg shares his winter skin care strategies. 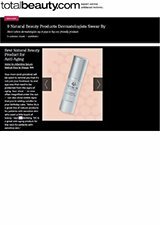 YAHOO BEAUTY – Dr. Gary Goldenberg describes the skin’s structure and function. 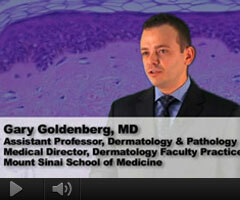 NEW BEAUTY – Dr. Gary Goldenberg discusses the serious health implications of psoriasis. 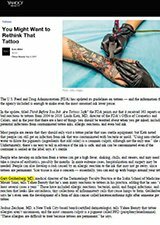 Yahoo Beauty – Dr. Gary Goldenberg agrees that a ban on tanning beds will lower skin cancer rates. Yahoo Beauty – Dr. Gary Goldenberg weighs in on how alcohol consumption can increase risk of melanoma. 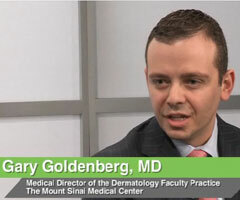 SELF – Dr. Gary Goldenberg discusses the importance of regular skin exams. 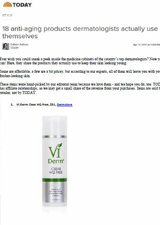 Yahoo Beauty – Dr. Gary Goldenberg talks about the downsides of using products with imitation aloe vera. 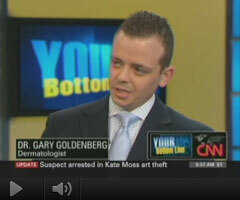 Yahoo Beauty – Dr. Gary Goldenberg discusses the limitations of skin cancer apps. SELF – Dr. Gary Goldenberg talks about how washing your sheets more frequently may help control acne. 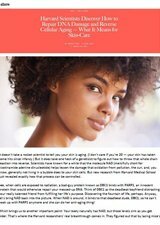 Yahoo Beauty – Dr. Gary Goldenberg describes how hair relaxers could cause damage. SELF – Dr. Gary Goldenberg discusses the efficacy of “detox” baths. SELF – Dr. Gary Goldenberg gives his input about limiting dairy products can reduce acne. 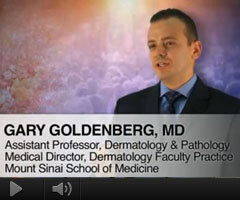 Healthy Guru – Dr.Goldenberg is a Skin Care Expert! 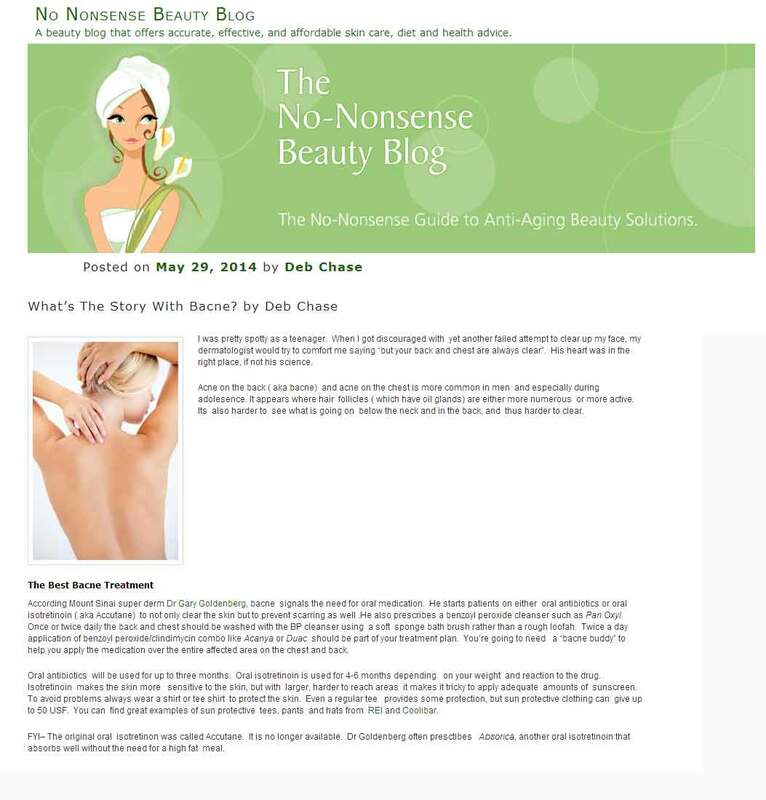 New Beauty – Dr.Goldenberg is a NewBeauty Expert! SELF – Dr. Gary Goldenberg talks about “”alopecia” hair loss. SELF – Dr. Gary Goldenberg gives his opinion on coconut oil makes an incredible makeup remover. SELF – Dr. Gary Goldenberg talks about Patients with PCOS have hormonal abnormalities. 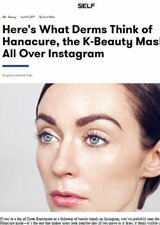 NewBeauty.com –Dr. 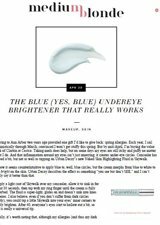 Gary Goldenberg is a NewBeauty Expert! Dr. Gary Goldenberg is a NewBeauty Expert! is quoted on Q&A section. explains why Melanoma cannot be wash off. discusses the causes of itchy red bumps on fingers. explains skin peeling on hands. explains itchy & swollen eyelid. 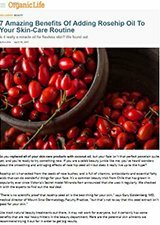 gives his opinion on new Rosacea treatment. 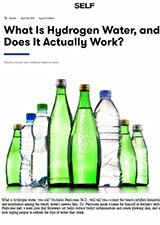 New York Post – Dr. Gary Goldenberg gives his opinion on counterfeit products. 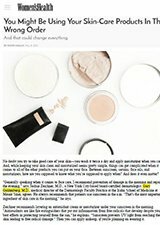 Women’s Health Mag – Dr. Gary Goldenberg warns about using counterfeit skin products. 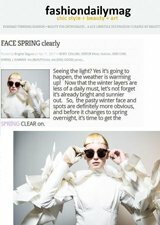 Fashion Daily Mag – Dr. Gary Goldenberg discusses good Sunscreen product for the face. Closer Magazine – Dr. Gary Goldenberg is featured in the latest Q&A. Closer Magazine – Dr. Gary Goldenberg explains about fillers. 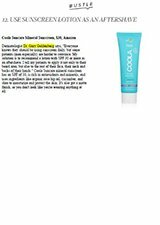 Closer Magazine – Dr. Gary Goldenberg gives advice on moisturizing skin. Closer Magazine – Dr. Gary Goldenberg is quoted on Q&A section. 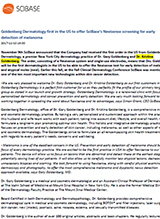 New Beauty Magazine-Dr. Gary Goldenberg featured in “Advances and Dermatology”. 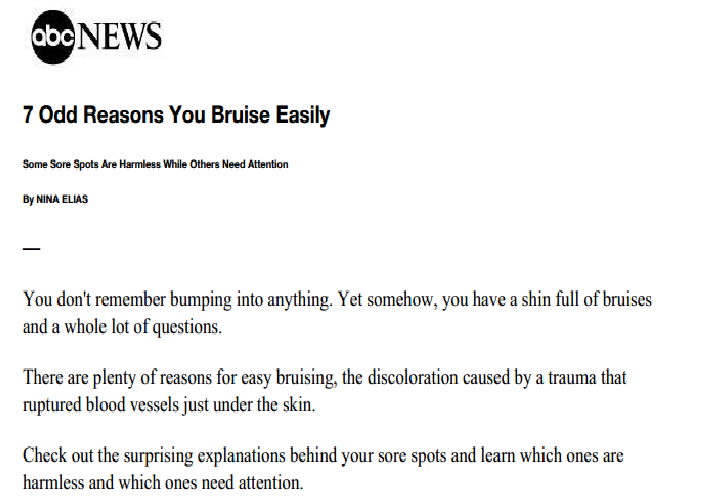 of acne and how to get rid of them. 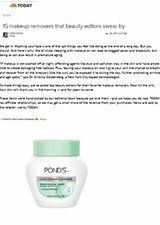 advice on how to shrink pores. New Beauty Mag Find out what Dr.Goldenberg suggests may affect acne. New Beauty Mag.-Dr. Gary Goldenberg is quoted on the Fraxel Dual procedure. NY Daily News – Dr. Gary Goldenberg is featured in the article giving his insight on neurofibromatosis. Glamour Magazine – Dr. Gary Goldenberg gives tips on how to get your nails in better shape! 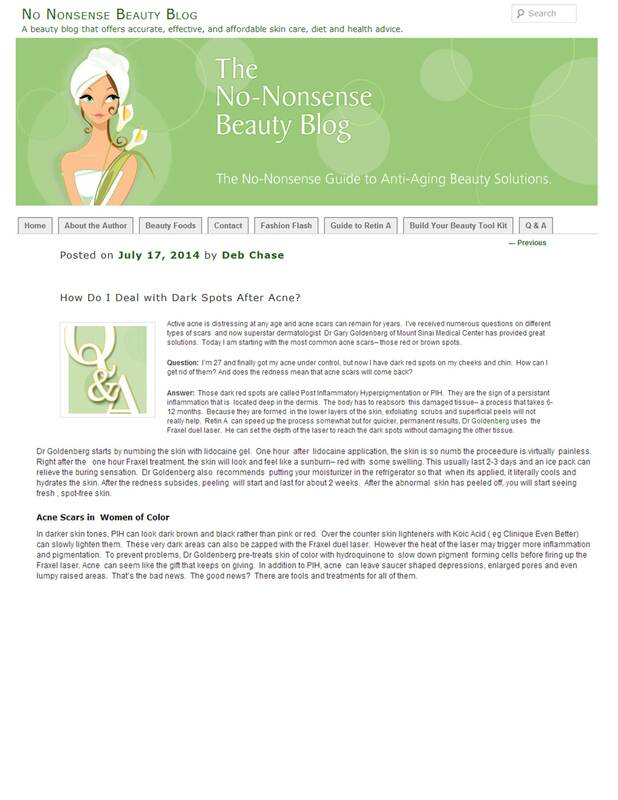 NewBeauty.com – Dr. Gary Goldenberg is a NewBeauty Expert! 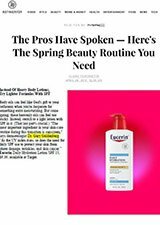 WebMD Magazine – Dr. Gary Goldenberg urges men to apply sunscreen as a part of their daily grooming. FoxNews Magazine – Dr. Gary Goldenberg explains how chocolate can be beneficial for the skin. 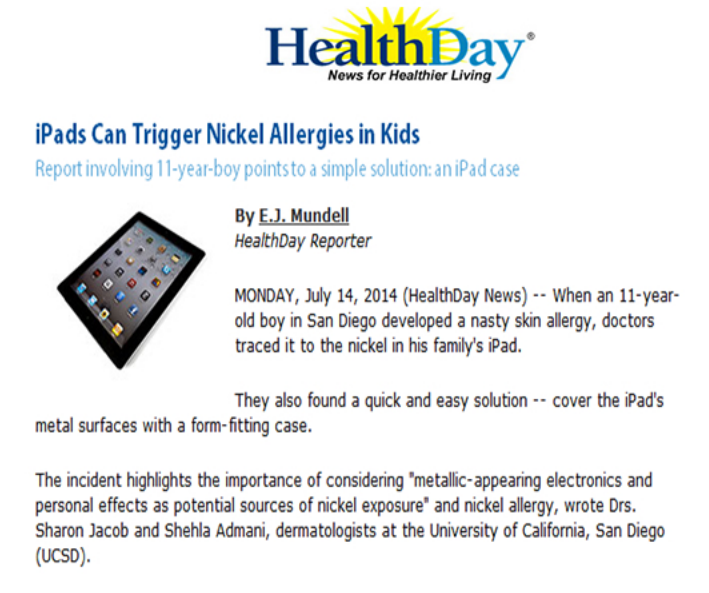 FoxNews.com – Dr. Gary Goldenberg gives tips on how to keep your children healthy this summer. Certified Fabulous – Dr. Gary Goldenberg discusses the Top 10 Non-Invasive Cosmetic Procedures. 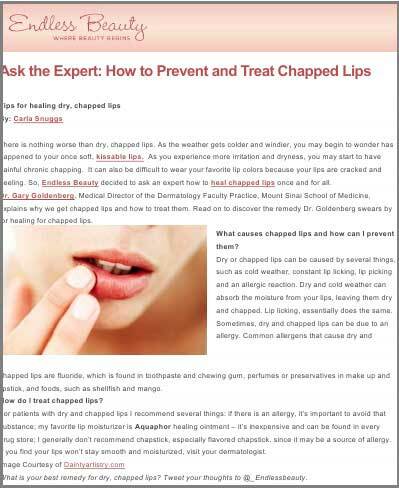 EndlessBeauty.com – Dr. Gary Goldenberg give tips on how to prevent and treat chapped lips. Healthagy – Dr. Gary Goldenberg gives 5 tips on how to combat dry and cracked winter skin. 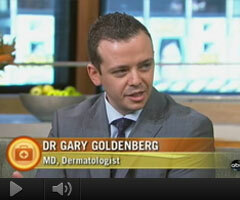 Watch Dr. Gary Goldenberg comment on dangers of fake makeup on NBC Nightly News! Dr. Gary Goldenberg demonstrates microneedling with platelet-rich plasma (PRP). 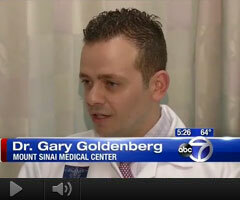 Dr. Gary Goldenberg featured on CBS 2 speaking about high risk of skin cancer. 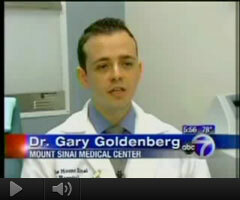 Dr. Gary Goldenberg on ABC7 New York discussing collagen drinks and wrinkles. Dr. Gary Goldenberg gives his tips and advice on Rosacea treatment. Dr. Gary Goldenberg is featured in the Fall/Winter 2013 edition of NewBeauty Magazine. Dr. Gary Goldenberg chairs the Clinical Advisory meeting and discusses more about MELA Sciences.